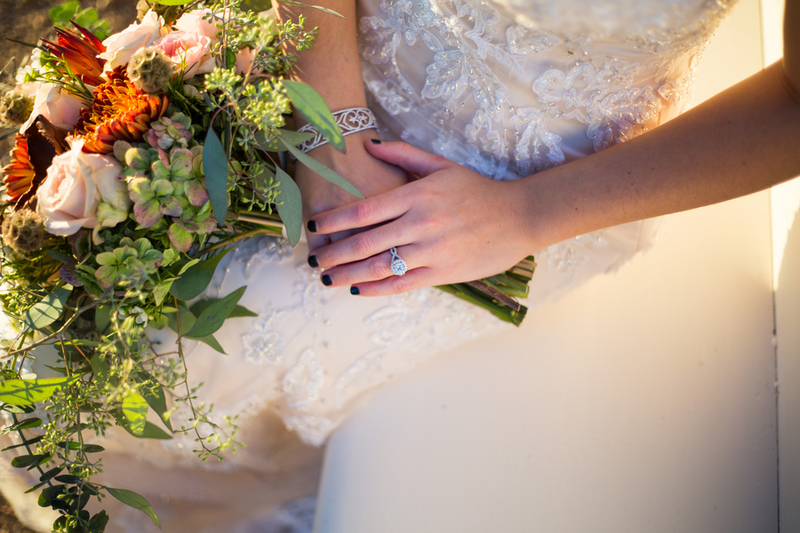 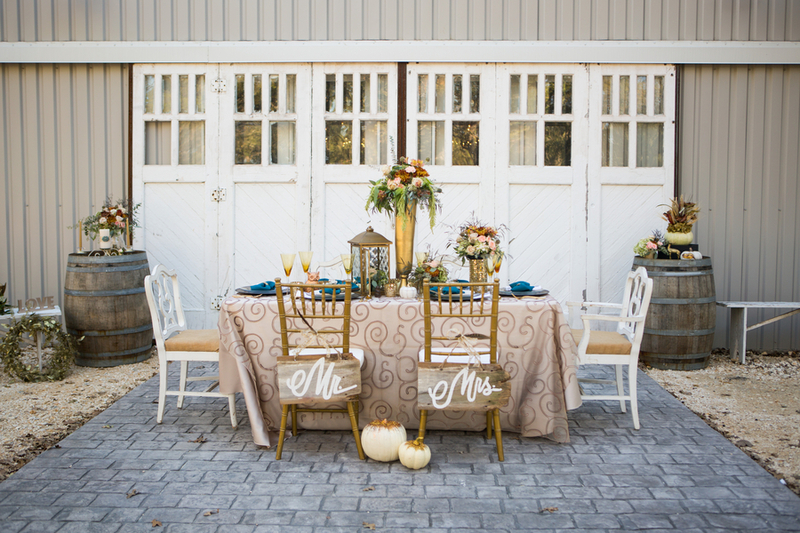 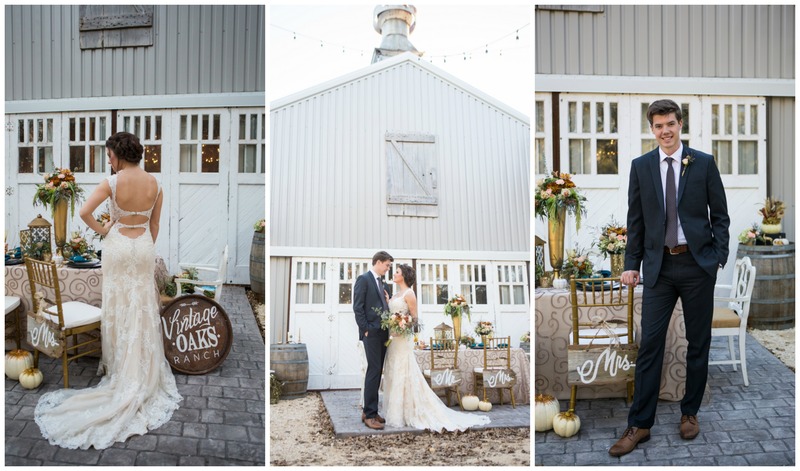 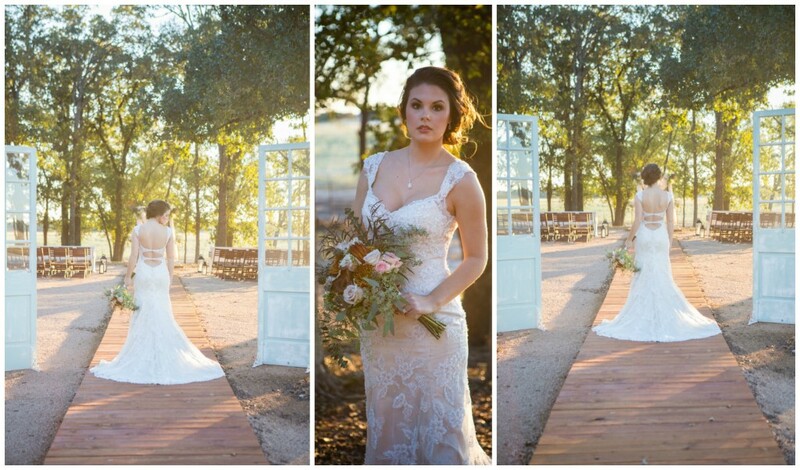 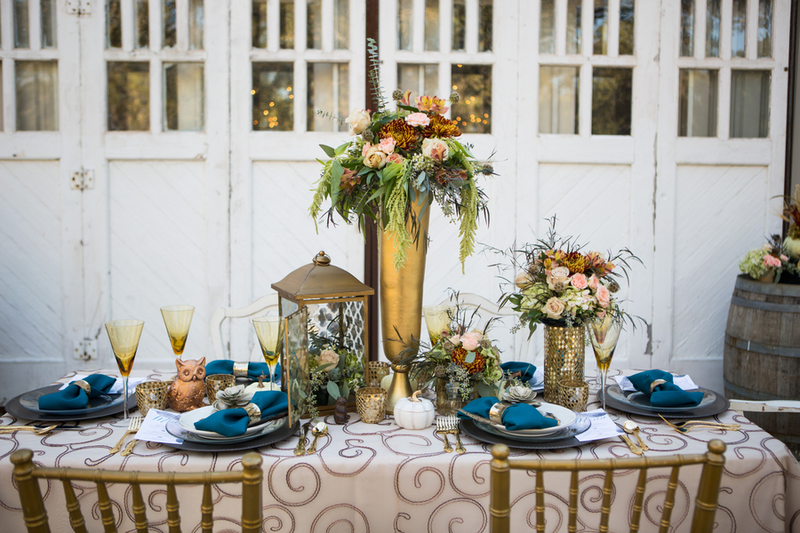 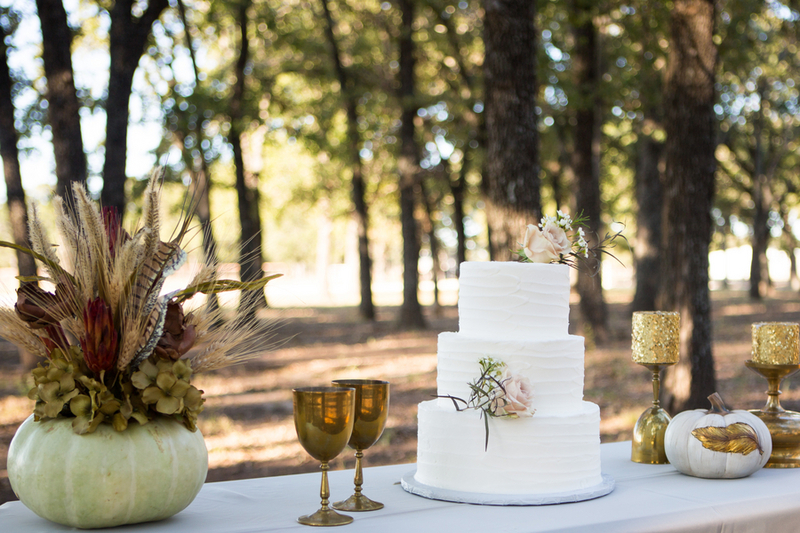 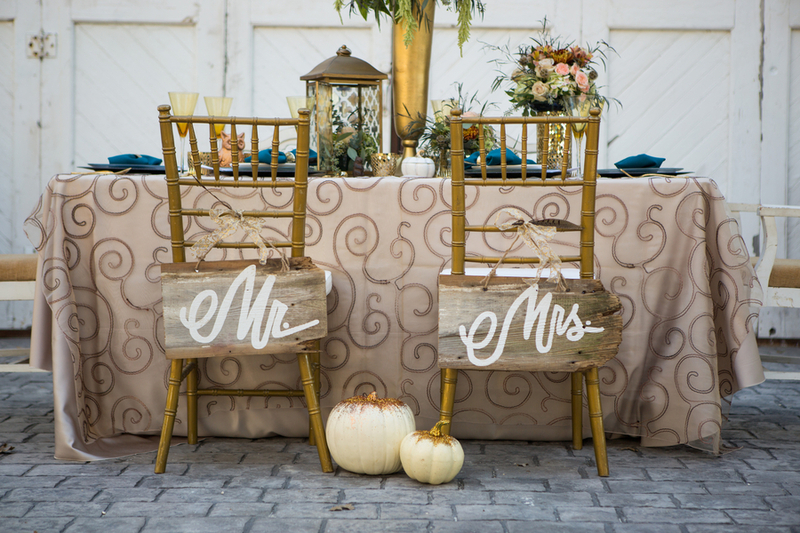 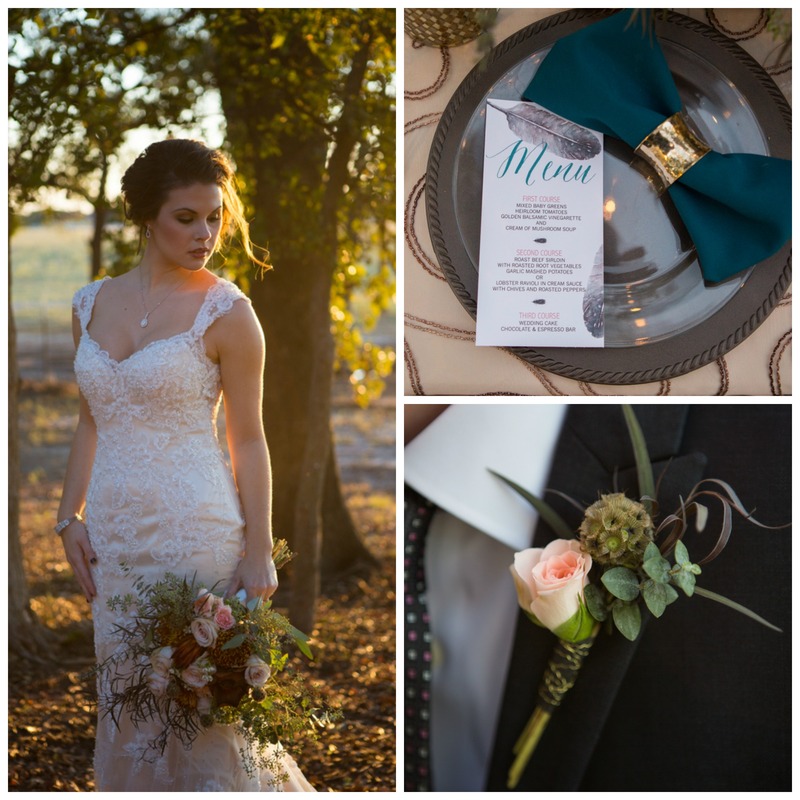 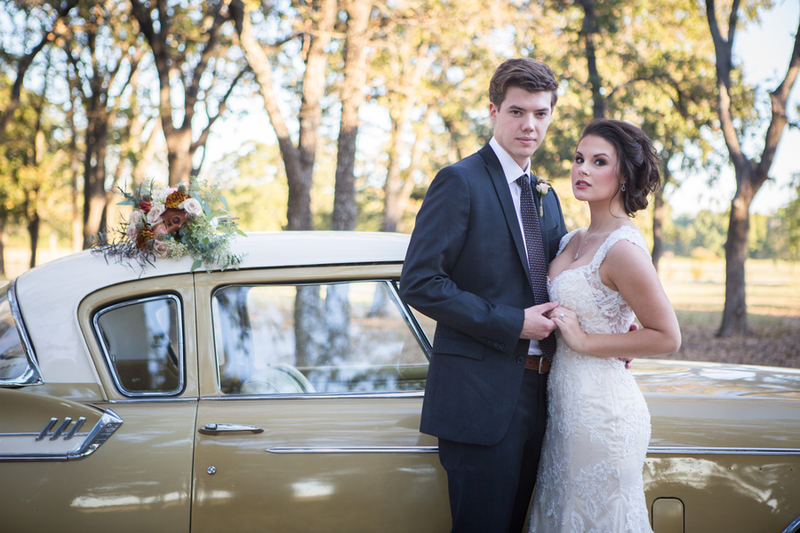 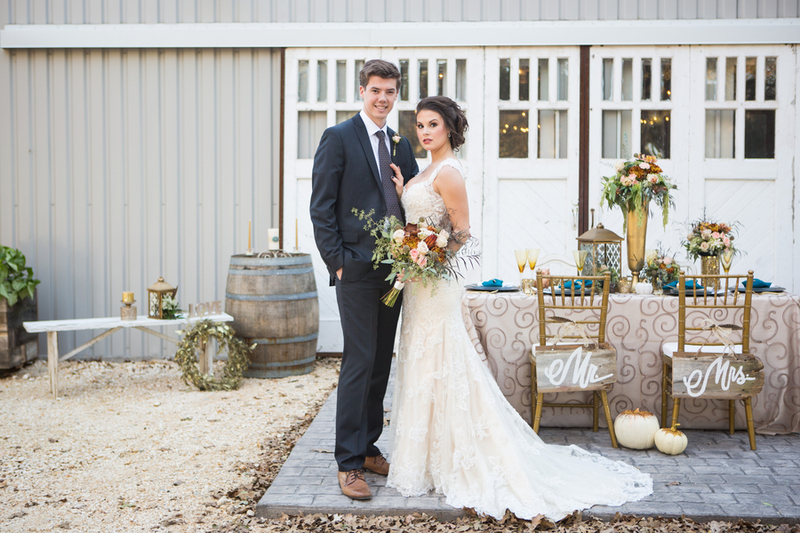 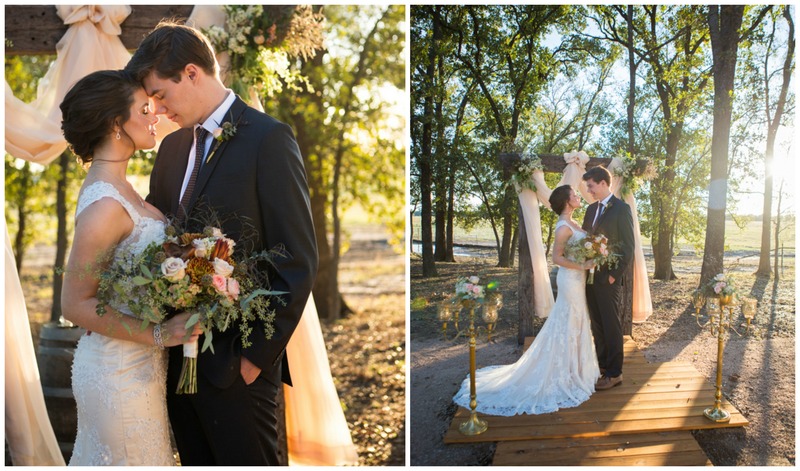 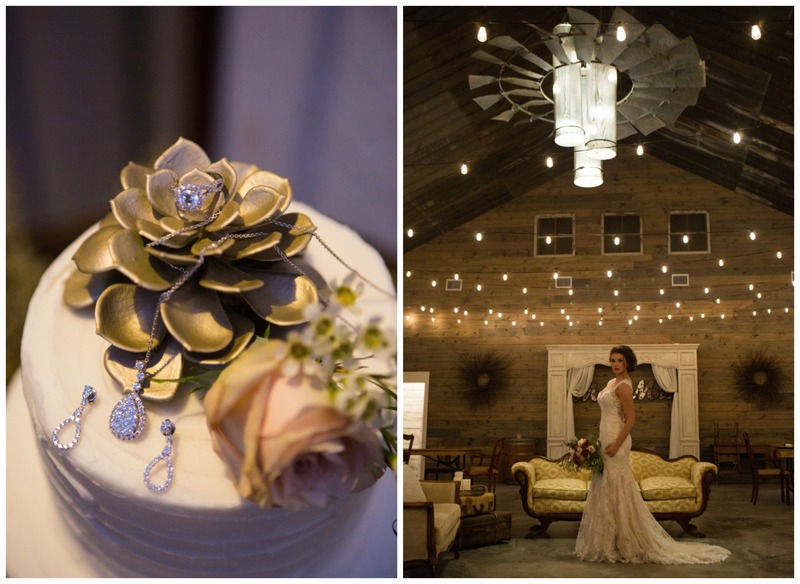 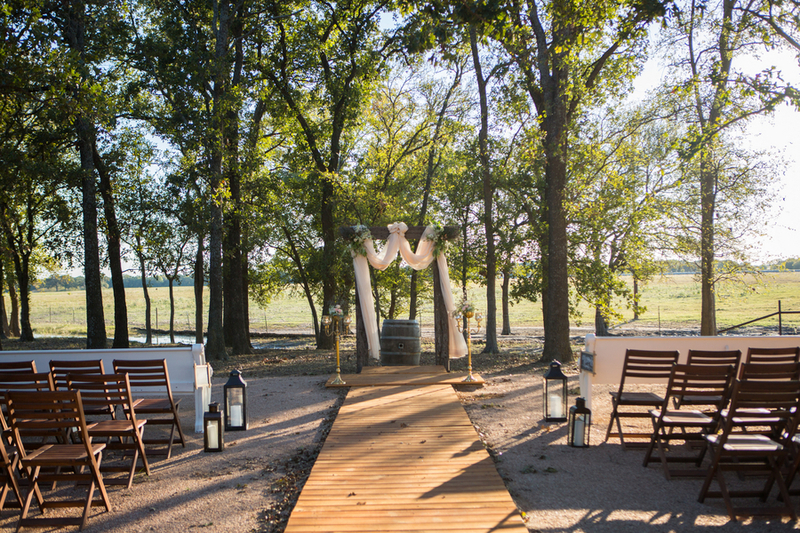 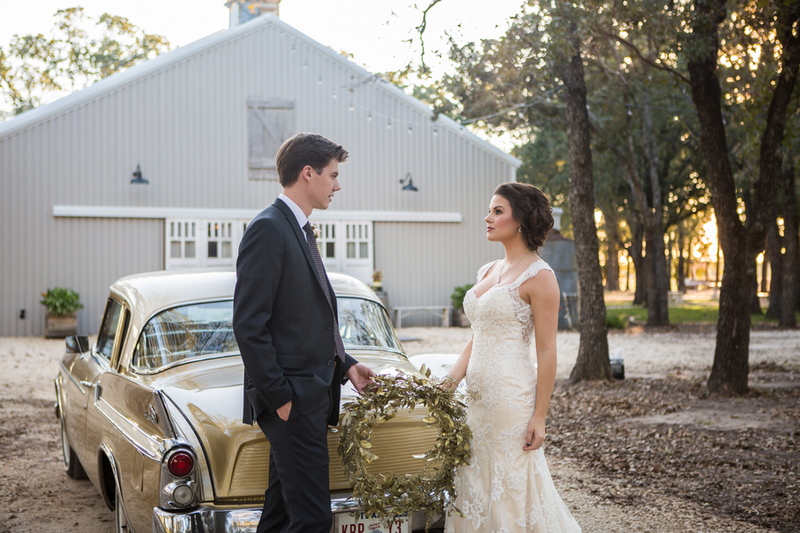 Vintage Oaks Ranch is such a gorgeous venue, and it’s the perfect place for a fall wedding. 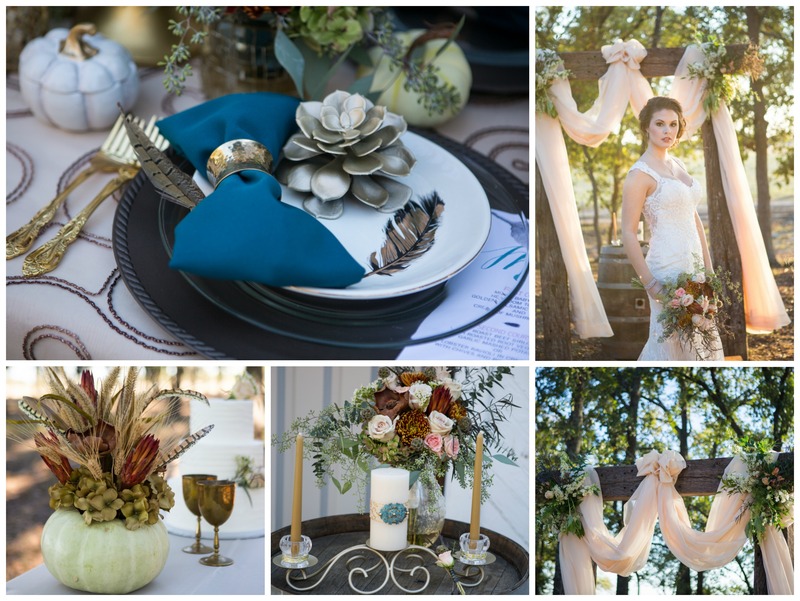 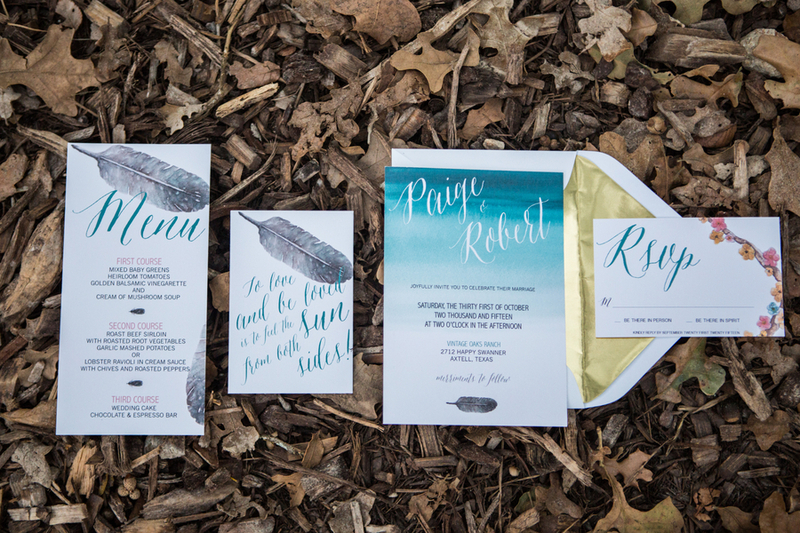 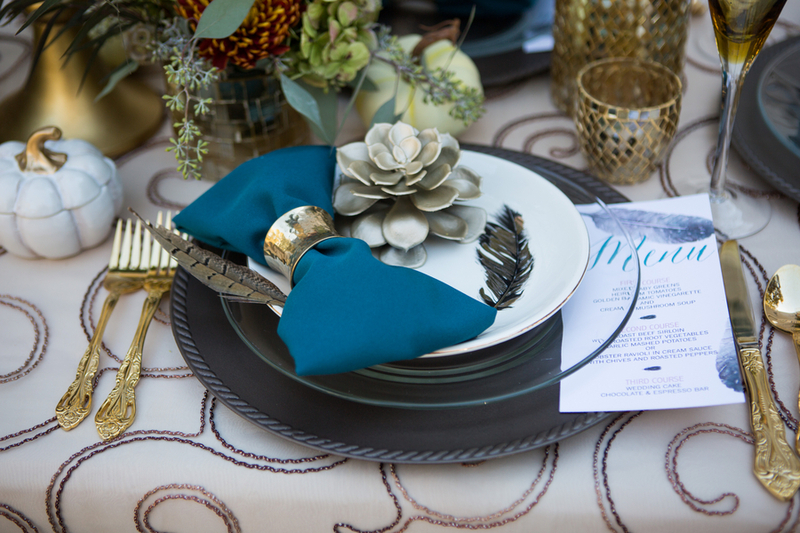 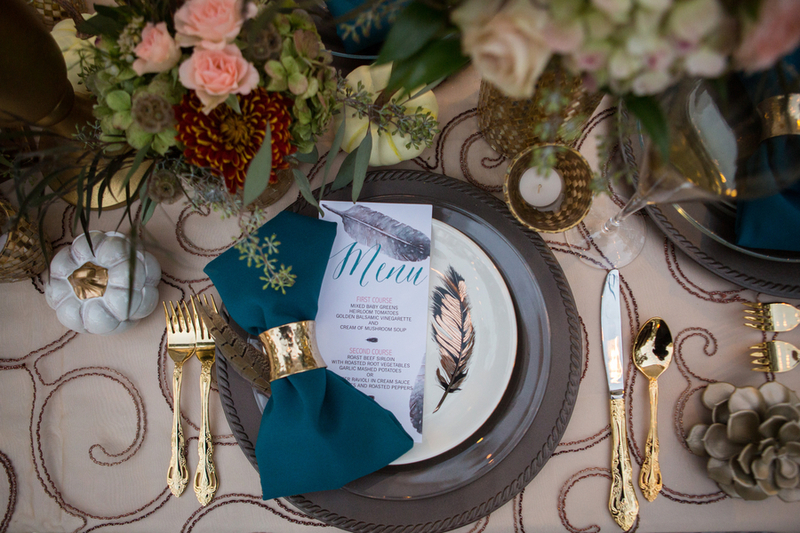 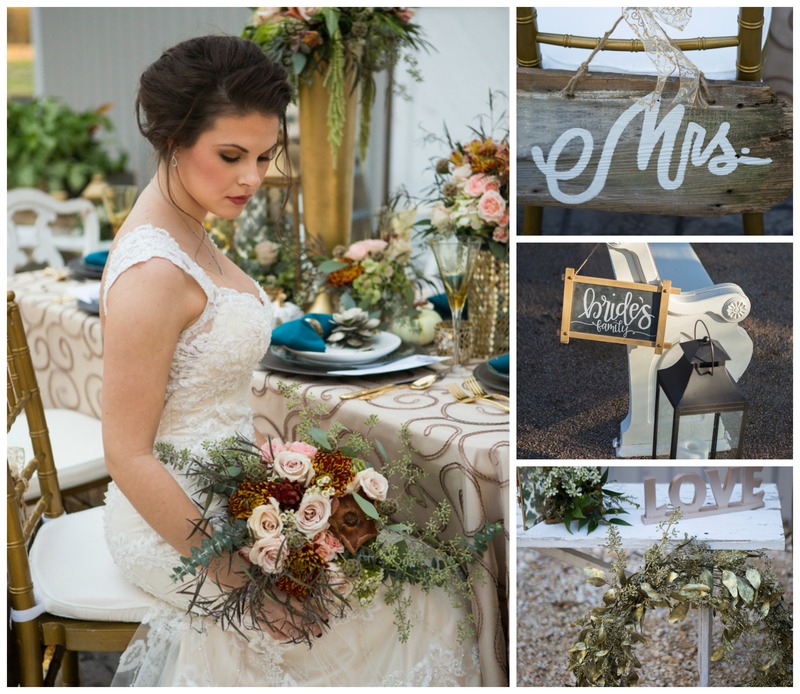 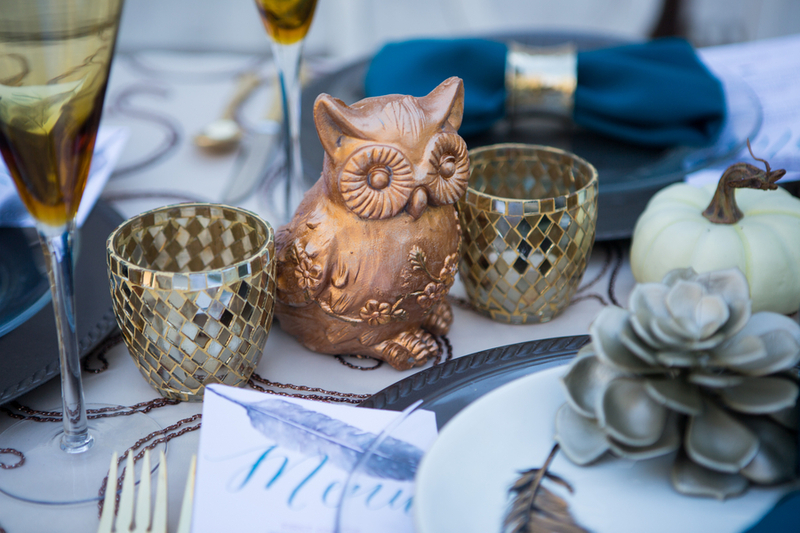 This wedding inspiration palette was picked to highlight the season’s best hues and the natural shades of the venue. 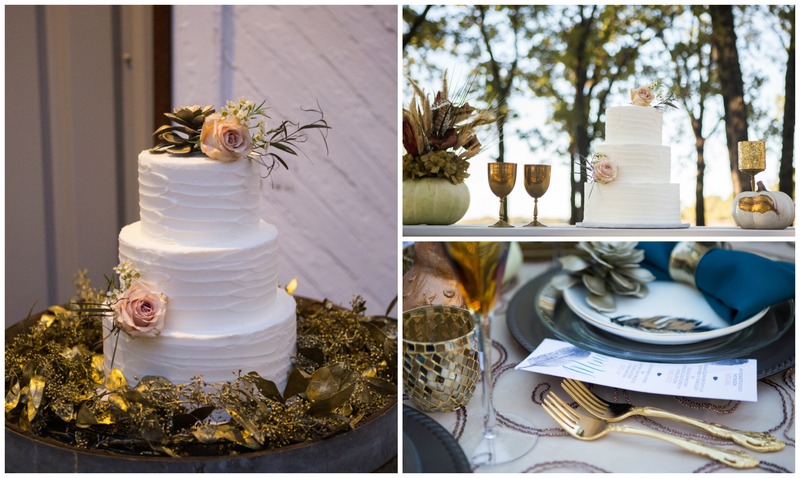 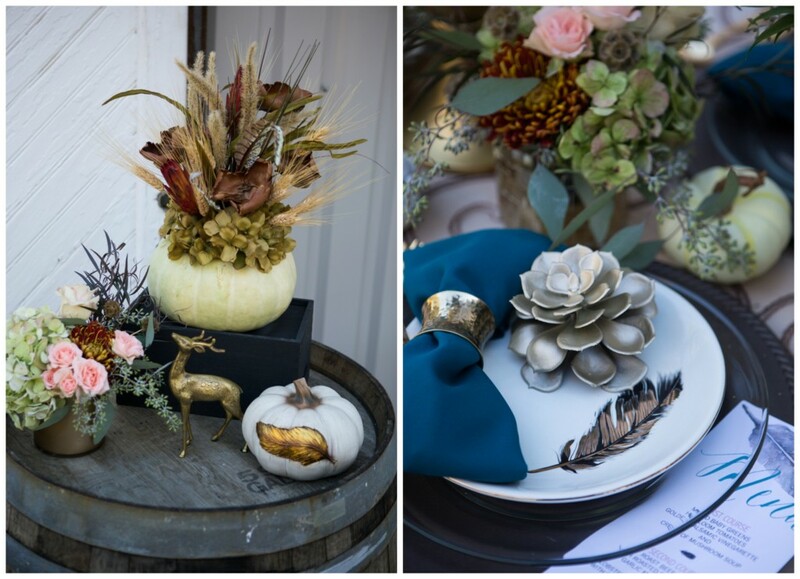 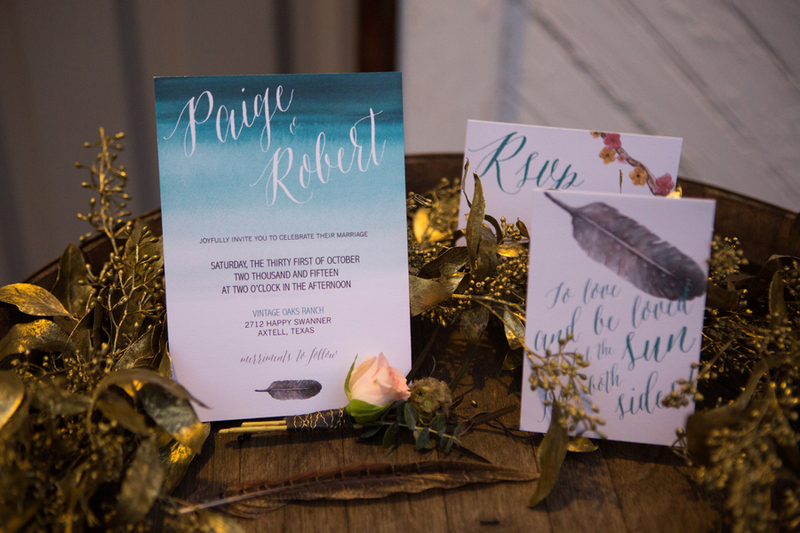 Denise Harlan of Thee Design Weddings and Events styled the florals and decor, along with Ashley Samford of Pendley Party Productions. 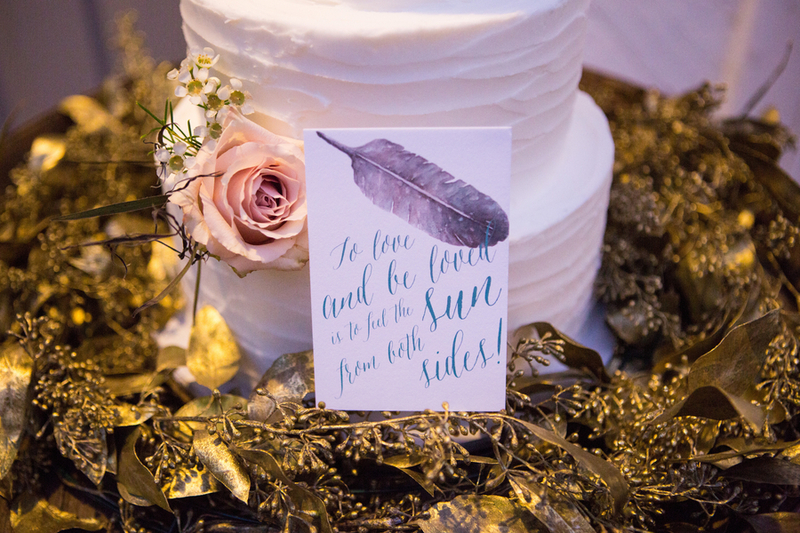 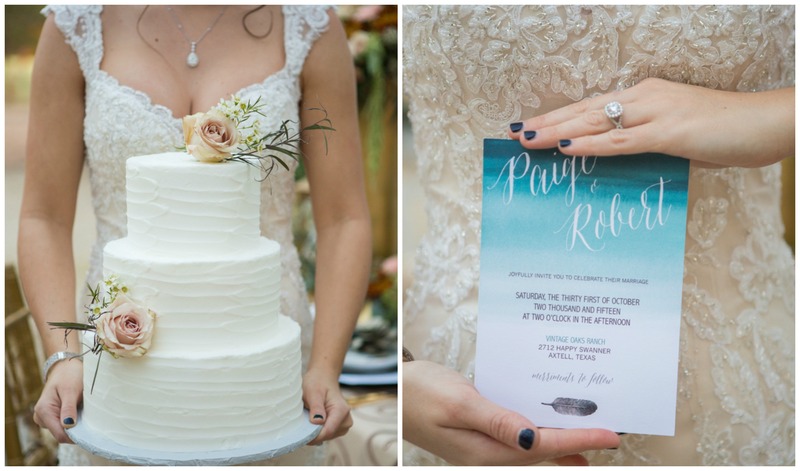 Kim Dailey of All Sugar’d Up created an elegant cake, and Bohemian Mint hand crafted the amazing, one of a kind stationery suite. 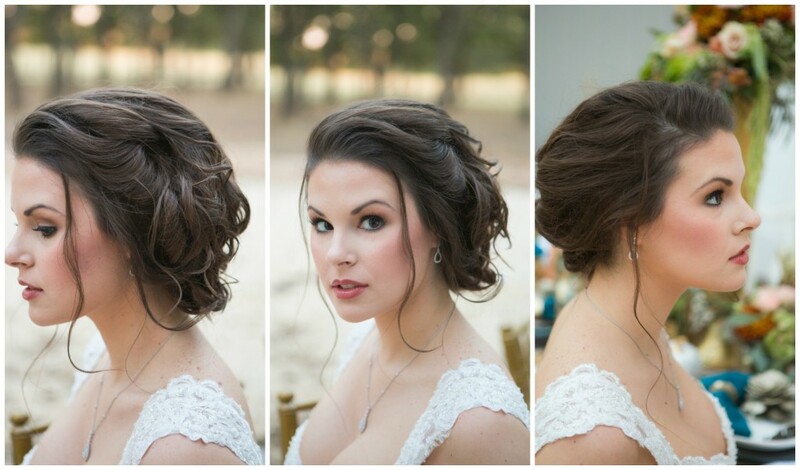 Casey Hartmann styled our model Jamie’s hair, and Kimberly Cutler was the makeup artist. 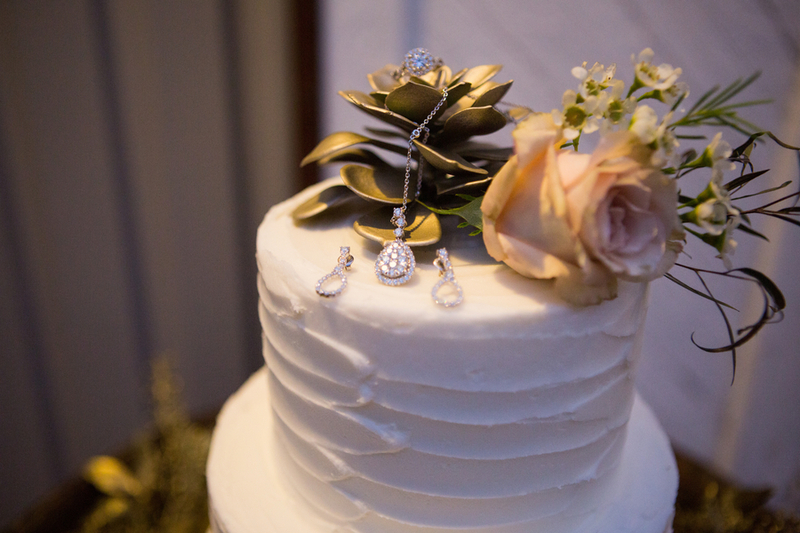 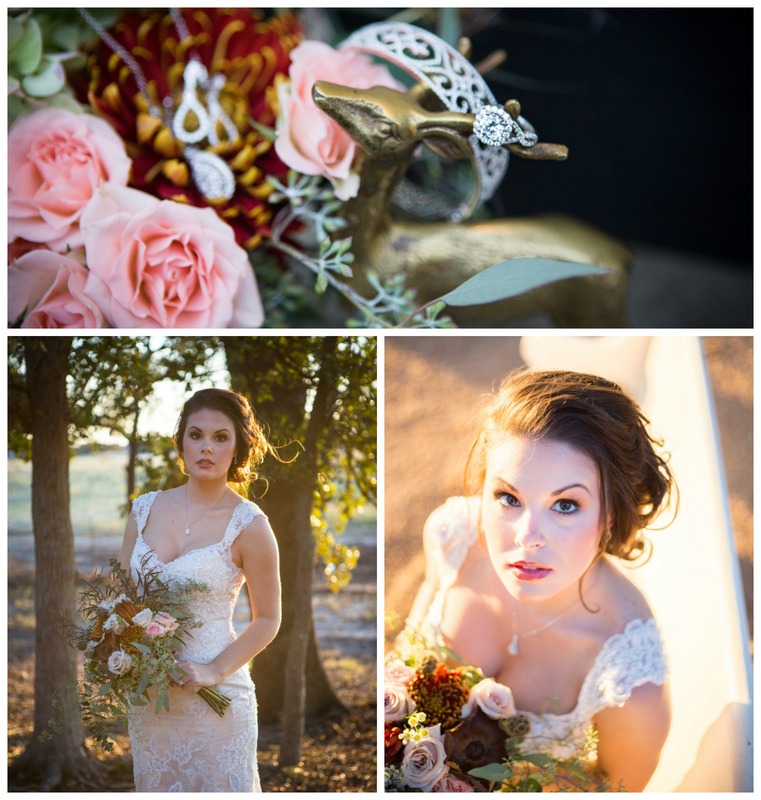 Di’Amore Fine Jewelers provided the breath-taking pieces for Jamie to wear, and the gown is from Georgio’s Bridal. 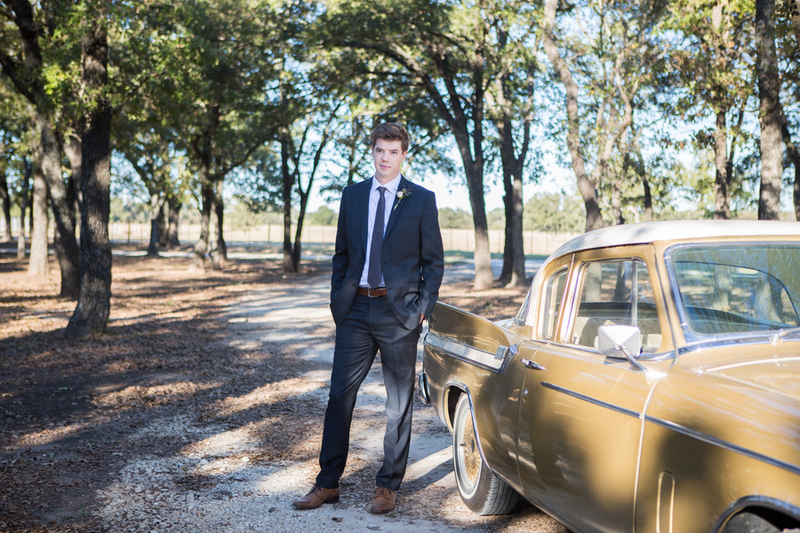 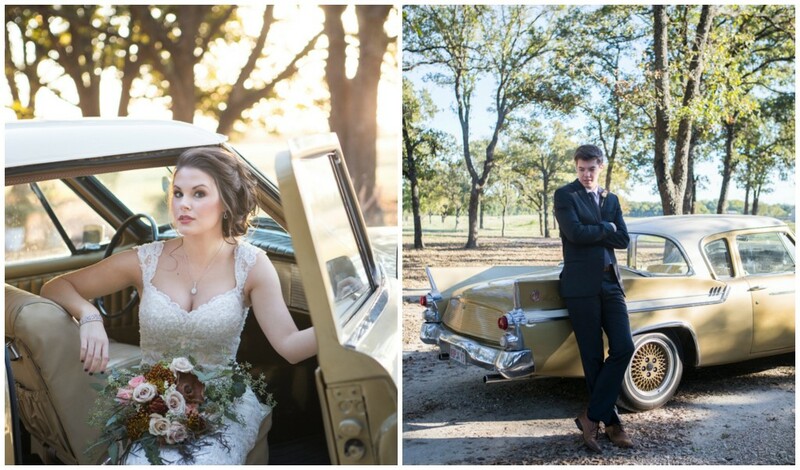 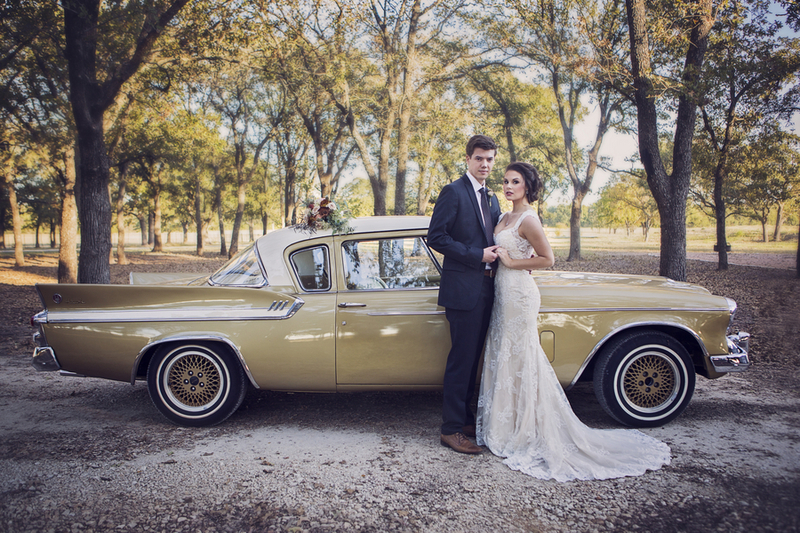 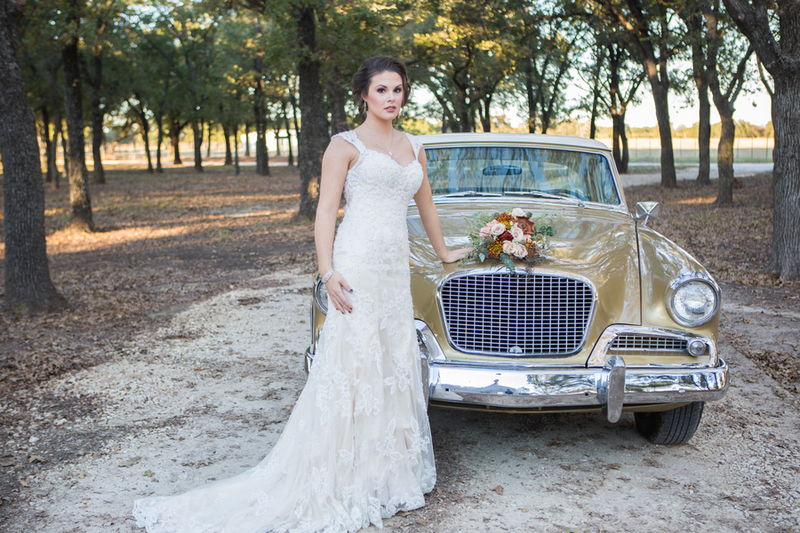 The Studebaker Hawk is another element provided by Thee Design Weddings and Events.